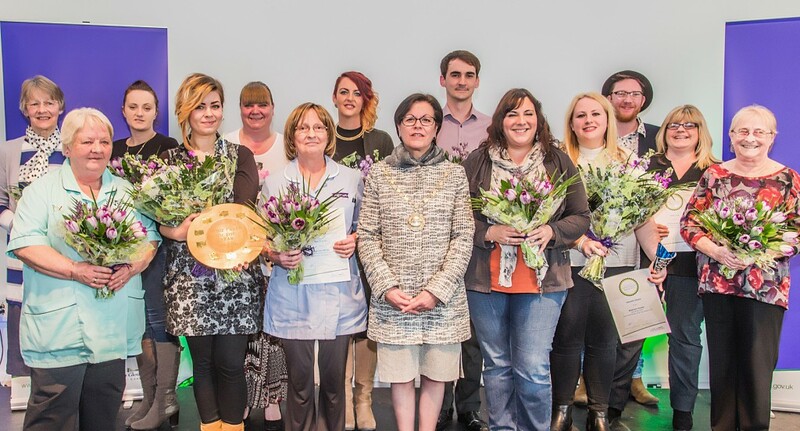 Judging for South Gloucestershire Council’s Care and Support Awards has taken place, with winners and finalists celebrated at an awards event yesterday (Wednesday 23 March). These awards recognise the dedication and contribution of local care and support workers who have gone the extra mile in providing high quality care to enable people to lead the lives they want to live. Our Care and Support Awards replace the Home Carer of the Year award and are open to a broader audience with nominations accepted from across the care sector. This year we have extended the categories to include: Personal Assistant of the Year, Care Home Worker of the Year, Home Care or Supported Living Worker of the Year and Day Services Worker of the Year. The winner of the Home Care or Supported Living Worker of the Year Award is Lauren Herbert from Elite Home Care Ltd. The winner of the Care Home Worker of the Year Award is Gabrielle Sheard who works for AbleCare Homes. The winner of the Personal Assistant of the Year Award is Natalie Churchill. The winner of the Day Services Worker of the Year is Winnie Thompson who works at Kilcott Farm. The awards ceremony was held at the Resound Centre in Mangotsfield. This is the fifth time we have held an award ceremony for home care workers in South Gloucestershire, with the first award ceremony held in March 2009. Cllr Erica Williams with the award winners and shortlisted workers.